Home / Feature Slider / “Passengers” — a cosmic love story. The poet, Emily Dickinson, wrote of loneliness “Ourself behind ourself, concealed —Should startle most —Assassin hid in our Apartment Be Horror’s least.” Loneliness is a force that confronts and unmakes the self. Humans are by and large social creatures. It is this desire to connect, and thereby, to feel, that is at the heart of the sci-fi romance, Passengers. The hardest part about reviewing this film is that the most important thing about it cannot be mentioned, even though the “twist” is revealed pretty early on. Perhaps the best way to start writing about Passengers is to debunk its description as an action sci-fi thriller, because while the setting is in a spaceship that experiences technical problems right from the onset, the film focuses more on relationships and the universal human desire for kinship. In Passengers, several thousand people are travelling to a colony on a distant planet to start a new life. They’ve been placed in hibernation pods while completing the 120-year journey to get there. But something goes wrong and two people, Jim Preston (Chris Pratt) and Aurora Lane (Jennifer Lawrence), wake up after only thirty years. Their desperate attempts to fix the pods or to wake up the crew, fail. Now, they’re faced with living out their days in a massive spaceship whose interior looks like a futuristic shopping mall. Their only company is the robot bartender, Arthur (Michael Sheen). 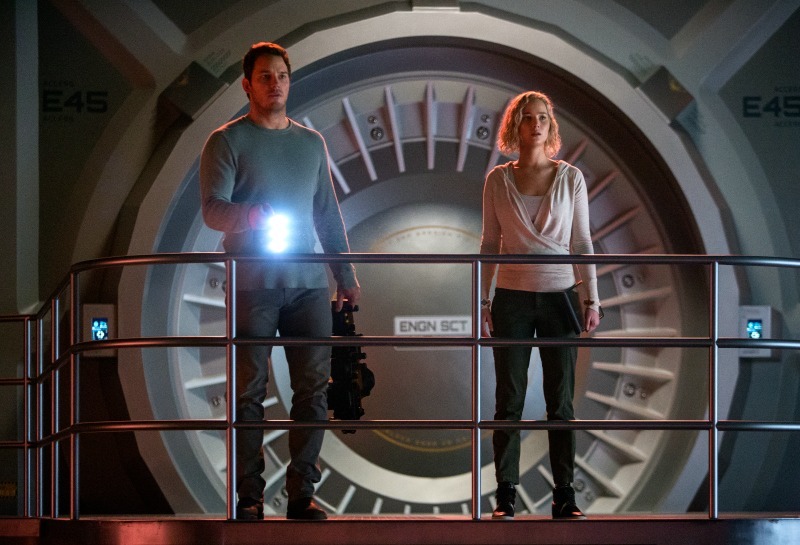 Red alert on the Avalon for Jim (CHRIS PRATT) and Aurora (JENNIFER LAWRENCE) in Columbia Pictures’ PASSENGERS. After the anger and depression, comes acceptance, and Jim, Aurora, and Arthur form a friendship that help the two humans find meaning in the seemingly banal – food, exercise, natural life, conversation, things that are ordinary and everyday. Meaning, or the justification humans want for their existence, comes from understanding the self and others. Time becomes meaningless when there is too much of it and seemingly so little to do to pass it. But it’s exactly during this time that human contact can make every moment count. Both Jim and Aurora left Earth looking for something more from life, something transcendent. Aurora, the journalist, gave up her life to write a book about something interesting and adventurous (again, trying rise above the banal). Jim gave up his because he wanted to be part of building something new. We wonder whether they would have developed feelings for each other if they were not forced together by circumstance, because it’s unlikely they would ever have met otherwise. This is part of the central message of the film – that love can happen anywhere, that it is what binds us as humans. 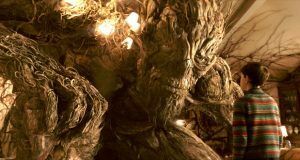 As the relationship between Aurora and Jim deepens, there is a pervasive tension and dread as the vessel they travel on begins to fail, and because of a terrible and disturbing secret Jim carries with him. Director Morten Tyldum has Jim and Aurora ask themselves and the audience, “what really matters?” and “can we survive alone”? Both Pratt and Lawrence (still Hollywood’s golden girl, for now) carry themselves well and give the audience relatable characters. Sheen is delightful as the naïve bartender, though there is also a hint of darkness about him. Passengers is the kind of science fiction film that recalls Solaris or Gravity, in which space and the spaceship form merely the backdrop for exploring their characters’ heartbreaks and existential questions. Passengers isn’t perfect — Solaris and Gravity are much better at intellectualising the ‘human condition’ and giving expression to transcendence. Still, Tyldum’s film is sweet and engaging and worth a watch. Another absolutely fantastic movie review. So enjoy reading these reviews and watching the trailers. looking forward to seeing the movie tomorrow. 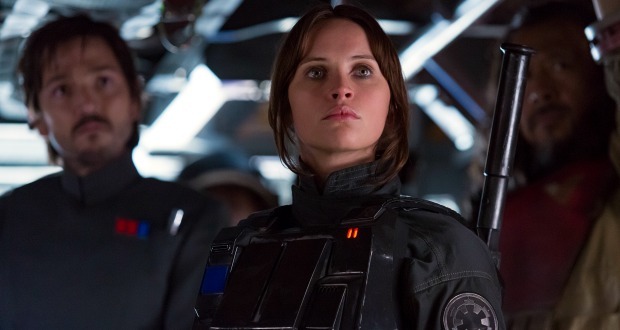 Previous: “Rogue One: A Star Wars Story” — our (completely) spoiler-free review. 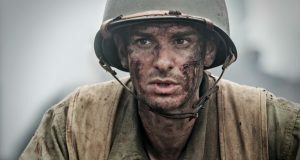 Next: Does the WWII biopic, “Hacksaw Ridge”, redeem Mel Gibson?